Recently a Fujifilm manager said here, that the sensor inside the Fujifilm X-T3 is not a Samsung sensor. And yet, some people were still sceptical, especially considering that Sony does not offer any 26 megapixel BSI sensor. Well, this argument seems to be gone now, since, as spotted by mirrorlessrumors, Sony updated its sensor page and we can now find the IMX571 26 megapixel BSI sensor listed on their website here. 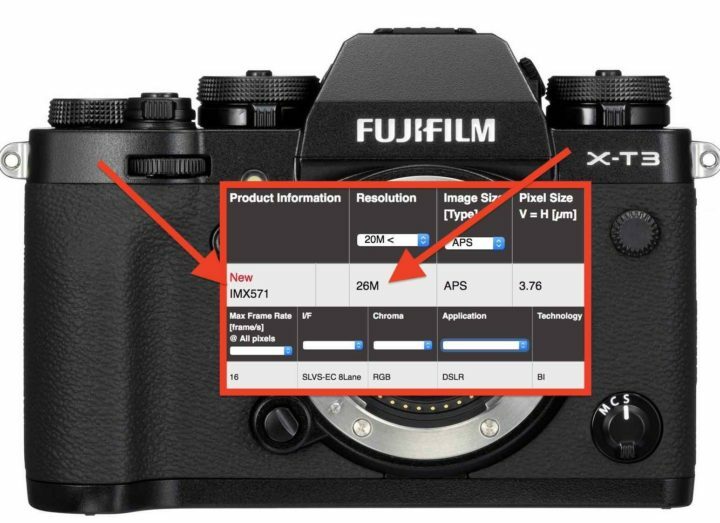 Comparing it to the sensor of the upcoming Fujifilm GFX 100 (also listed at Sony) we can see both, the APS-C and MF sensor, have the same pixel size (3.76). 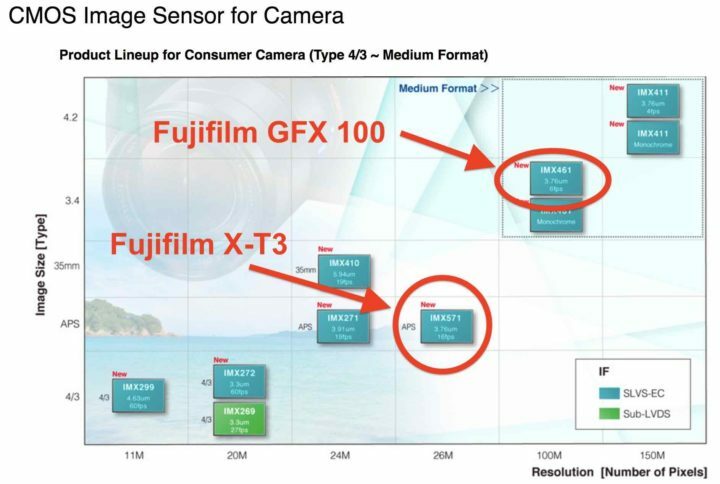 Keep in mind that Fujifilm officially said the GFX 100 will have 102 MP. This indicates that the GFX 100 has the same X-T3 sensor technology (except for X-Trans CFA), just about 4 times bigger. We have already documented in this article, that sensor stitching happens already with the Fujifilm GFX 50S.